If you're getting married or know someone who is, then look no further than the exclusive Celtic Manor Wedding Exhibition, sponsored by Laings. 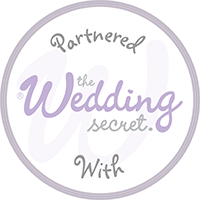 This is one of the not to be missed wedding exhibitions! Join us at this exciting event where we will be exhibiting a selection of our exclusive designer collections on the bridal catwalk shows. There will be catwalk shows at 11:30am, 1pm and 2:30pm along with lots of fabulous wedding suppliers to help make you big day extra special. You will also get the chance to see the luxurious venue available at the beautiful Celtic Manor Resort. Register here to be attend this exciting event and you can also in in with a chance to win your dream wedding.